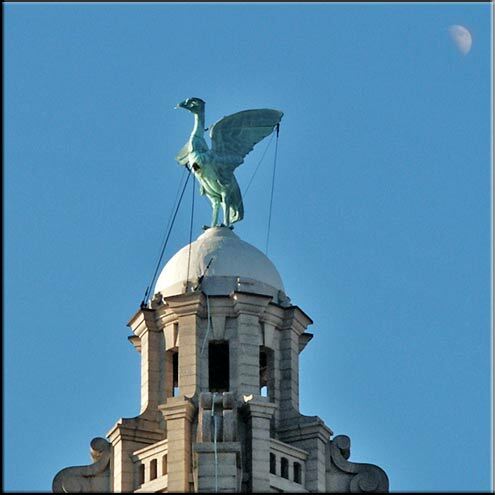 The mythical Liver Bird surveys it's domain from the top of the Liver Building on the river front in Liverpool. Legend has it that when the bird flies away Liverpool itself will fall intot he River Mersey, hence the steel wires holding the bird down. Very Interesting photo and reading about the bird. It does not look like it will be flying away anytime soon. I like the moon, it gives it a mystical feel.